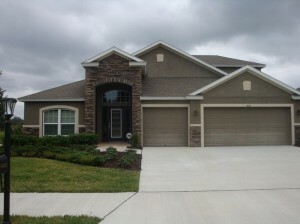 As a homeowner, it is essential to be proactive about protecting the quality of your home in Palmetto, FL. If you are looking for ways to improve your property, you need to take a look at the windows. The strength of your windows will have directly affect the safety of your home during a hurricane. Our team at Armored Dade Windows & Shutters is committed to providing you with the best products that are available to protect your home. When you choose to upgrade the windows and doors in your home, you can rest assured you have done everything possible to avoid structural damage. Here are a few benefits of hurricane impact resistant windows for your Palmetto, FL home. When the winds kick up high enough to move objects through the air, you might be risking damage to the glass on the windows of your home. Old, weak windows could easily be damaged in harsh conditions. Hurricane impact resistant windows offer the first line of defense during a storm. If you can protect the windows, it will increase the likelihood that you can protect everything else inside. On the other hand, damaged windows might lead to additional damage to the structure of the property. For example, when the window breaks, it changes the air pressure in the home. As the pressure changes and the winds move through the building, the wind needs a place to go. Typically, the wind pushes in an upward direction, which can pull the roof off. As you can see, a broken window is more than an inconvenience during a storm. The cost of replacing that single window will pale in comparison to the full renovation costs that you would need to repair the structure of the building. In some situations, the damage could be so severe that the home is unrepairable. When you are interested in investing in the quality of your home, new windows are a great option to consider. This investment will reduce the risk of damage during a storm and you have peace of mind, knowing your family and belongings will be protected. Not only will you avoid the expensive renovation costs if damage occurs, but there are other financial benefits as well. For example, these windows will help improve the energy efficiency of your property, which in turn reduces the monthly expenses that you will need to pay for utilities. Since they reduce your energy use, they also help preserve your HVAC system for a longer period of time. Another cost benefit is the increased property value on your home. When you decide to sell in the future, you will be able to ask a higher price because of the high-quality windows in place. Some homeowners might have a hard time justifying the cost of hurricane impact resistant windows since it isn’t common to have hurricane-force winds. But eventually a storm will roll through during hurricane season and you will be glad your home is protected. Even while you are enjoying the beautiful sunshine outside, there are a few other benefits you can have from high-quality windows. For example, the windows are well-insulated, which improves the comfort of your home. The insulation minimizes the loss of cool air when the air conditioner is running. High-quality windows also offer an excellent way to block the noises of the neighborhood. Have you noticed you are always listening to the dogs barking outside or the cars rushing by on the street? These noises can make it hard to relax when you get home from a long day at work. Upgrading your windows can block out the sounds so you can enjoy peace and quiet in your home. As you can see, there are many reasons why you should make the investment to install hurricane impact resistant windows and doors in your home. If you live in Palmetto, FL or any of the surrounding areas, you are invited to contact our team to schedule a time for a complimentary consultation. We will gladly provide a free estimate so you know how to plan for these home updates. At Armored Dade Windows & Shutters, customer satisfaction is our highest priority. We will work hard to offer the custom solutions for your window installation. When you talk to our experienced team, we will provide recommendations based on your individual needs. No two homes are alike! You are always invited to come to our showroom at 8112 Cortez Rd W Bradenton, FL 34210. Or call us anytime if you have questions about the services and products we offer: (941) 798-9010.